When you do anything, from driving a car to working at your job, you need training and experience to do both correctly. No one expects someone to know how to do something immediately. Normally, knowledge is achieved by learning — and learning requires lessons! Training offers a way for employees to learn many different skills ranging from work-related to safety-related. In an office, there are many possible dangers, which means that learning how to create a safe work environment is crucial. The best way to ensure a safe work environment is to train your employees on proper safety protocol and how to refuse a dangerous situation, if one were to occur. Fire extinguisher training is vital information that every place of business could encourage their workers to know. Before your employees learn to use a fire extinguisher, they need to learn the dangers of fire accidents. Fire is an extremely destructive force that can unleash untold damages over a space. Fires have the ability to destroy property and even have fatal consequences if they are allowed to grow. Because of the dangers of fire, your employees should learn why they need to learn to use a fire extinguisher. Fire extinguishers, and other fire-suppressing devices, can help resolve a fire hazard before it has grown too big and destructive to manage. By having employees that know how to handle and refuse a dangerous situation, millions of dollars can be saved. More importantly, lives can be saved as well! You may assume that fire has only one type or genre. Fire is fire, right? There are no variations. You would be wrong! Fire actually has different styles of burning and some types of fire can burn hotter and faster than others. Because of this, the types of fire you are dealing with will determine how dangerous the situation is. For example, if you have a grease fire that is burning fast and very hot, it might be harder to put out. More importantly, fires that burn fast can cause way more damage and travel throughout a room in a number of minutes. Because of this, the situation could be hazardous, especially in an office building. Oil fire are much more dangerous than wood fires, which also changes the way you can put out the fires. Most wood fires are easily extinguishable and can be put out with a fire blanket or a fire extinguishing device. Oil fires, however, can be exceedingly dangerous to put out, especially because most fire extinguishing devices will lessen the fire, but not put it out. Below are the five types of fires that exist. “Ordinary fires” include any flame that starts by burning wood, paper, and cloth. These types of fire are the most common and burn the slowest. Generally, with this type of fire, you can extinguish the blaze with a bit of water or even a fire extinguisher. These types of fires are the most common and are generally the only types of fires an office will experience. These fires burn extremely quickly and begin when fire reacts to flammable liquids, such as alcohol and gas. These types of fires are extremely dangerous because they burn and travel incredibly quickly. Anywhere that there is gas or alcohol, the flames will ignite and travel. What is most dangerous about these types of fires is that they have a way to travel fast, burn hot, and cause damage quickly. If this type of fire happens, it is best to pull the fire alarm and get out of your building. These types of fires are one of the most common accidents in office spaces, especially where outlets can be older or overused. These types of fires begin when electrical elements release small amounts of electricity and spark a fire on cloth or carpet nearby. You will typically see electrical fires in older building with outdated electrical units. And, since these office buildings will generally have carpet, this means that fires can easily ignite. Combustible metal fires include metals, such as magnesium and titanium. These are rare fires and most likely won’t be in your local office building. However, if these fires occur, it is best to pull the fire alarm and let the professionals put out the fire. Oil fires are very dangerous because they burn very quickly, hot, and are difficult to put out. If these types of fires occur in your office, it is best to pull the fire alarm and get everyone to safety. If you have a fire sprinkler system in place (which it is mandated that you do) the sprinklers will be triggered by the rise in temperature. The sprinkler system will help limit the fire until the fire department comes. Though you may take it upon yourself to put out the fire, oil or grease fires are very aggressive and take quite a bit of effort to put out. Also, while your employees should know the different types of fires, they should also know the different types of fire extinguishers. Yes, there are different types of fire extinguishers that are suited to put out certain types of fires. There are four types of fire extinguishers. These extinguishers are designed to combat common fires. This class of fire extinguishers are perfect for fuel or gas-related fires. Class E extinguishers are used for electrical fires. This class of fire extinguishers are ideal for oil and grease fires. If you are curious which fire extinguisher would be more suited for your property, such as your business or commercial building, an expert will be able to advise you on which class of extinguisher will work best. Once your employees understand the different types of fires and fire extinguishers, they are now ready to learn how to properly locate your work fire extinguishers. It is easy to overlook something when it is (hopefully) rarely ever used. Sometimes, especially for workers, it can be easy not to notice something as useful as a fire extinguisher in the office. Learning where all fire extinguishers are in the workplace is the first step in learning how to properly use a fire extinguisher. 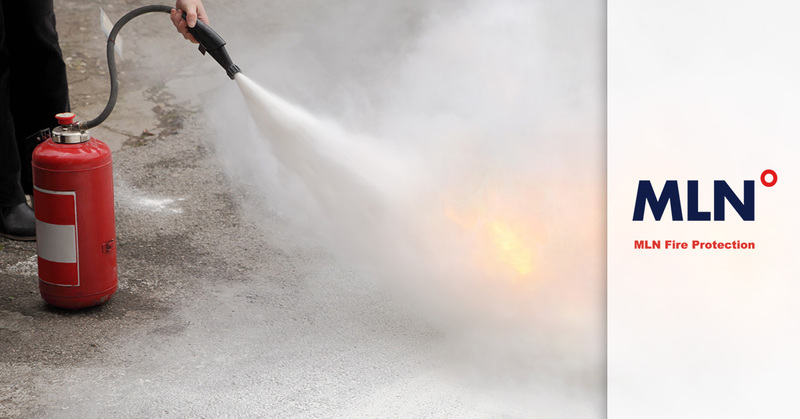 Locating your business’s fire extinguishers is very important for your employees to learn. Why? Well, by knowing where the closest fire extinguisher available is, they are more likely to put out the fire faster. After all, in an actual fire incident, tensions are already high; the last thing you want is your employees to panic because they don’t know where a fire extinguisher is. So, in order to keep everyone safe, it is best to make your fire extinguisher very clearly marked. After your employees know where the fire extinguishers are (there should be one than one), you can begin to train them on how to use one. Using a fire extinguisher is very easy. First, you have to pull the pin of the top of the device. Once you pull the pin this will allow you to use the extinguisher. You will want to aim the fire extinguisher at the base of the fire. Once you have aims the fire extinguisher, you will want to squeeze the trigger at the top of the device. Make sure you do so in a controlled manner; fire extinguishers have a bit of kick-back so you may want to tuck the device under your arm for support. Once the device is triggered with will start to let out the extinguishing foam. To properly administer the solution you will want to do a sweeping motion (side to side) over the fire until it is put out. Fire can be a dangerous hazard, especially in the workplace. Luckily, there are more fire protection devices available to your other than just hand-held fire extinguishers. 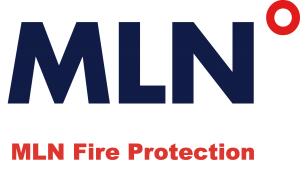 At MLN Fire Company, we can help install and inspect fire suppression systems that protect your commercial building. 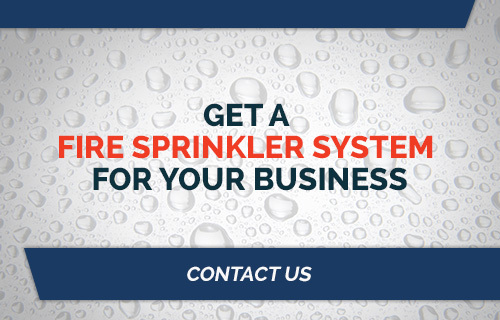 Instead of relying on an employee to put out a fire, you can have a fire sprinkler system that alerts you and takes immediate action to douse the fire. Learn more about these systems by calling our business.